The following are all real testimonials kindly provided by our customers, further details can be available on request. "I feel more secure with my two security lights. The work was done in a timely manner and I am pleased with the result". "MTR are brilliant company , they’re professional , prompt and get on with the job at hand ... leaving no mess after job .. I would highly recommend them and wouldn’t use anyone else". "I was really impressed with MTR Electrics because after having contacted several other electricians by telephone and not getting a response MTR answered the telephone and on a second occasion when I left a message they got back to me promptly. Mark turned up at the time promised and the work was carried out in a very professional manner. I was very happy with the whole experience so much so that he is coming back to do another job". "Recently we had our electric shower replaced by M.T.R Electrics. we found the service efficient and would recommend them". "Small repair, Arrived on time on due date. Carried out required work efficiently". "Very happy with the work undertaken by Mark today (To install new security light). Would recommend to friends and family". "From getting a competitive quotation, a start date and the works carried out, I found MTR Electrics efficient and professional throughout the whole process. I would use them again, and recommend them as a good contractor". "Very happy with repair to our pond electrics,so nice to have water cascading again. Quick efficient service. Would certainly recommend". "Quick response to emergency callout. Full explanation given about the fault which was fixed immediately. Awaits more comprehensive fault find". "Mark recently carried out some work for me. He arrived at the time that was quoted and carried out the work very efficiently in a short time. He is obviously an experienced electrician and was also willing to give advice connected to electrics generally". "My enquiry was handled smoothly at the home office. There was a bit of a wait due to other customers' work being completed. M.T.R Mark came promptly on the agreed day and efficiently installed a new back door exterior light which looks good.. JSS"
"Very professional, from first point of contact up to doing the work. Turned up exactly when he said he would, everything done that we asked for and job was left clean and tidy afterwards. Would highly recommend Mark and M.T.R Electronics to anyone". "Was recommended by family who had used previously. Arrived on time, job completed to a high standard at a competitive price. Would definitely use again". "Mark visited us to carry out some wiring problems to a light fitting. Arrived when be said he would - carried out the work efficiently - pleasant young man and would have no hesitation in using him again and recommending to others". "We have used MTR Electrics for a number of jobs in our house and would recommend them to anyone who needs work done. They are reliable and very professional and do the required work to a high standard". "Very pleased with the light fitting in the bathroom. The initial phone contact was helpful, and the work was carried out promptly. We are very pleased with the final result and are very happy to recommend them". 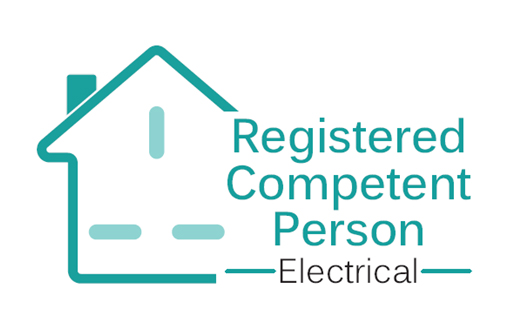 "I contacted Mark at M.T.R Electrics using the NICEIC Register of Approved Contractors. 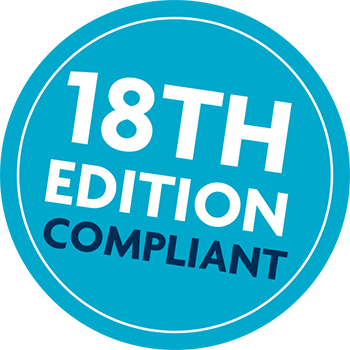 He carried out an Electrical Installation Condition Report (EICR) on my property. This was done in a professional manner and I would recommend his services". "Excellent service from Mark and MTR - whom I booked to fix a faulty lighting circuit. I am in my 70's and cautious with tradesmen and others whom I don't know. Mark was polite and professional - but without being overly familiar as with some tradesmen - and I felt comfortable having him in my home. He did a number of diagnostic tests with his meters, promptly isolated the faulty circuit and located and fixed the fault. He described what he was doing at each stage, which was reassuring as he clearly knew what he was doing and going through a logical process to promptly 'find-and-fix', which he did. The whole visit took about 20 minutes, charges were within the pre-agreed call-out fee and he cleared up after and left things tidy. I was keen to take his card / contact details and have since recommend him to friends and family as a 'go-to' electrician for future work". "We would like to thank you and your team for an excellent job and also for the after service that you gave us which was very much appreciated. If you need any recommendations for any future clients (which we do not think you will need) please do not hesitate to give our telephone number or email address so that we can respond accordingly with a copy. Once again, many thanks for everything you did for us, it was greatly appreciated". "Mark did a very good job for us. We had a slight problem but he returned and rectified it immediately. He was very prompt and tidy, and responded quickly when contacted. Would recommend him". "I contacted M.T.R Electrics to carry out electrical safety checks and to install heat & smoke detectors. I found them to be professional, well priced, they were happy to offer advice and completed all work on time with no mess. I would highly recommend their company with no hesitation at all". "I was very pleased with the work that was done. It was done efficiently and Mark obviously knows his stuff. He was also punctual and tidied up when the work was completed. I know who to contact if I need any other electrical work done in the future." "Mark carried out the installation of appliances in my kitchen punctually, efficiently and at a fair price. He was also informative about how my property can meet current regulations. A very good service". "I asked Mark to supply and replace 8 downlighters and to add an additional plug socket. Communication was great, he protected my sofa etc with dust sheets was a tidy worker. The lights look great. I would recommend his services". "MTR Electrics . Very professional very honest very understanding. Fitted with new fuse panel to a difficult layout but very pleased withwork done, would recommend to anyone wanting electrical work done". "I only needed a small job done. It was carried out quickly and neatly. As a lady living on her own I felt very comfortable and felt prices were very fair". "I have found MTR Electrics extremely helpful from quoting a price quickly and very punctual on the day of the work which was carried out very efficiently and to a very high standard. I would not hesitate to recommend MTR Electrics to family and friends". "One by one the lights in our kitchen had been failing until Mark of MTR arrived and resolved the problem. He speedily re-wired to leave us with a brilliant job, neat and clean. - Well Done. With absolute confidence I shall be using MTR again". "The work was carried out quickly and efficiently . Needlessly to say it works perfectly. Should I need any further electrical work I would not hesitate to contact you again"
"I was very happy with the efficiency of M.R.T. Electrics. The visit to estimate, the work and invoicing was all done on time and with courtesy". "My wife and I were extremely pleased by the work done for us by Mark of M.T.R. Electrics. Thank you". "MTR were fast, efficient and clean. A pleasure to work with. I will be using them again". "it is sometimes difficult to get electricians to do small pieces of work, so I was really impressed with the responsiveness of MTR who turned up to provide a quote and then did the work exactly as specified shortly after. The work was done to a very high standard and the price was very reasonable. I will definitely be using MTR again☺"
"I found MTR Electrics very friendly and efficient. They keep me informed every step of the way and completed the job in a timely manner. I will be using Mark again in the future". "I would like to say that I was very pleased with your prompt response to my request for a visit to examine several electrical problems in my house. You were able to make a quick assessment of what was wrong and what repairs were needed. You were also able to fix one problem satisfactorily for me at the same visit. I would certainly recommend M.T.R. Electrics for professional thoroughness". "Contacted MTR Electrics on recommendation from a very satisfied customer. Mark and his team were excellent, not only installing new boards, wiring and switches for the garden, but also unravelling and removing some very dodgy 1950’s electrics. No hindrance was insurmountable. Throughout the work was thorough and professional as was telephone contact, administration and follow-up. Outstanding". "I have used MTR a number of times now and have always been pleased with the end result. Mark turns up on time every time and is very methodical with his fault finding. His electrical knowledge and the work carried out cannot be faulted and I would have no hesitation in recommending MTR to anyone". "We asked MTR Electrics to fit a security light and a new electric cooker. The work was completed very efficiently and tidily on the agreed day at a competitive price. We highly recommend and would use again". "I would happily recommend you to any of my friends. From the start I was very impressed with the polite and friendly way I was treated on the phone and then by the arriving to do the jobs at the promised times. The work was done very well and tidily and in a way that gave me confidence. From beginning to end I was very satisfied. Thank you for all your help". "I was very satisfied with work carried out and impressed with friendly, helpful and efficient manner of M.T.R Electrics. Have also recommended them to friends and family". “very reliable, polite and friendly, nothing was too much trouble and work completed to high standard. Would not hesitate to use again or to recommend to others. It’s good to have a local electrician who care about their customers". "Having recently had work done by Mark (M.T.R. Electrics) I would highly recommend this company. Mark was polite, friendly and very efficient, I was extremely pleased with the work carried out. Will certainly use them again". "We had a problem with our electrics and were unsure of who to call, when looking through the Bexley Council magazine we came across Mark's advert. 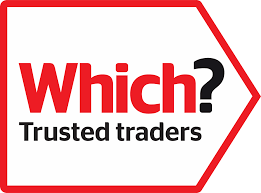 A local electrician accredited by the Which Trusted Trader scheme. We called and made an appointment. Mark came and we were more than happy with his very professional approach in identifying the problem and ways of dealing with it. We have arranged for further work to be carried out knowing that we will be in safe hands". "Thanks for your service in fitting lights and switches. The Electrician was on time and very helpful in advising and fitting the units. No mess, quick and competitive price, great job". I have a flat in Bexley I've rented to tenants for a couple of years.When they left I had a couple of electrical problems,one was a light switch wasn't working also an outside security light needed replacing.I told them over the phone what the problems were,they gave me an estimate of cost within a range.Guy showed up on time,did the job told me the cost which was at the low end of the estimate.He was a nice chap,covered his shoes when he worked clean courteous and knew his job.MTR are a good company reasonably priced I would recommend them and will use them again. I contacted M.T.R. Electrics as I wanted a dawn to dusk security light fitted. I sought advice regarding the best one to purchase and was very happy with the suggestions. I was given a date for the work to be carried out and was very pleased with the result. I would recommend them and will be contacting them to carry out more work for me at a later date. We undertook for MTR to carry out an electrical installation condition report in our 1930’s 5 bedroom house. We found them efficient, pleasant to have in the house and the whole exercise was completed in about an hour with clear paperwork. With loose wires hanging down in the garage left by our previous electrician we contacted M.T.R Electrics to see if they could sort the mess for us.Following an initial inspection M.T.R Electrics explained what they thought they would need to do to rectify the problem which was very quickly supported by a written quotation detailing the work required and associated cost. True to their word the M.T.R electrician worked systematically through the mess of loose wires until he had correctly established the correct connections. M.T.R Electrics are extremely efficient both in terms of keeping you informed at every stage of the work undertaken on your behalf but also in terms of keeping you up to date, by text, when they will arrive at your home.. Based on the work they have undertaken for us we would have no hesitation in recommending M.T.R Electrics for your electrical needs. I'm only too pleased. I have already passed on your cards. I would say that if you are looking for an electrician contact M.T.R Electrics for a good price and value for money, quality and clean service, and professional advice. The electrician who came to do the work arrived on time and carried out the work efficiently and with professional care. He answered all my questions and I would not hesitate to use MTR for any future electrical work. Electrician attended as some of my LED spotlights flash occasionally. One was constantly flashing. After ordering a replacement he returned and I am perfectly content with the work done. In addition he checked my main fuse box and gave advice. If and when other of the LEDs need replacing I shall be calling upon your company again. I would recommend your company to other people based on my experience. I have just used MTR Electrics to wire in 2 sets of security lights & cameras to our house. I explained the job over the telephone and was given a quote. I received a text prior to the arrival of the electrician who was extremely punctual. Whilst the electrician was able to install the first set of lights, he was unable to complete the second installation as they were to be positioned 17 feet off the ground on the wall of my house . He arranged to return a few days later with a longer ladder to complete the job. MTR returned on time as arranged, completed the job in good time, did not charge for the return trip (which was my fault as I altered the planned position of the second set of lights) and were extremely polite and professional. I also think their charges were extremely reasonable. I would not hesitate to use MTR again for any electrical work and would highly recommend them. They are now my "go to" guys for anything electrical. I would not hesitate to use MTR again for any electrical work and would highly recommend them. The technician who came out was polite, helpful and solved the problem in a time efficient matter. He arrived before the scheduled appointment time which was much appreciated. Overall I was very happy with the work that was carried out and the advise given. I contacted M.T.R Electrics after finding them online and reading the excellent reviews. I was delighted with the communication and the response. Mark came and made some suggestions for solving the problem regarding our unsatisfactory outside lighting system. - he was friendly and his ideas were clearly explained. He gave us a detailed estimate of the costs and we were pleased to accept the quote.The work was completed on the day and time arranged in an efficient manner and the new system was thoroughly checked before departure. There was no mess left to clear away and the lights are superb. We should have had it done years ago. I would use M.T.R Electrics again and would recommend them to friends and family. "I have a flat in Bexley I've rented to tenants for a couple of years.When they left I had a couple of electrical problems,one was a light switch wasn't working also an outside security light needed replacing.I told them over the phone what the problems were,they gave me an estimate of cost within a range.Guy showed up on time,did the job told me the cost which was at the low end of the estimate. He was a nice chap,covered his shoes when he worked clean courteous and knew his job. MTR are a good company reasonably priced I would recommend them and will use them again". "I have already mentioned you to friends, but here it is officially. Started well with a pleasant and helpful person at the other end of the phone line, When Mark arrived-on time! he was efficient in the work with a very pleasant manner, and completed the job speedily, having given helpful advice for the future. I definitely will be using him again". 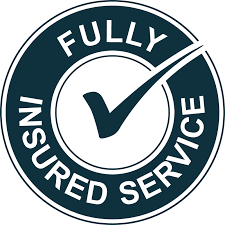 "I would like to say that I when I contacted Mark recently over a failed light fitting he was very good in firstly making clear the costs that could be involved and also was punctual on the 2 appointments made. Mark sourced a new light fitting himself had it fitted in a quick time frame and the cost was as quoted. Would recommend to any friends who had electrical issues or problems". "We were very pleased with the work your company carried out. From getting a quote, booking the appointment, having the work done was hassle free. The lady in your office was most helpful and friendly. Will definitely recommend and use again". "It was only a fairly small job - fitting a fan heater in the bathroom but Mark carried out the work very efficiently. I was impressed with his good communication in sending the quotation, letting us know when he was coming to do the work etc. I would certainly use MTR again and recommend them to others". "M.T.R Electrics have recently replaced kitchen lights and upgraded external security lighting for me. From initial contact to completion of work I found them efficient, professional and helpful. Would have no hesitation in using them again". "Mark from MTR Electrics recently fitted new inside and outside lights for me. He did a really good job and I found him to be professional, friendly and very helpful in answering my queries. I will definitely be using him again and if you are looking for an electrician to do work in your home, I would thoroughly recommend using him"
"I found Mark by chance on a google search for a local electrician. From the first point of contact by telephone I have found MTR electrics to be prompt, approachable, professional with clear concise communication that enables the customer to grasp and understand what is being discussed. This meant that I was able to make decisions promptly, and ask Mark to undertake nit only the work he was about to do but further work I my son's apartment (that others had turned down as the job was too small). Thank you Mark. I am happy to recommend him to friends and family"
"We are using MTR for all our property maintenance work. Highly recommended"
"A most enjoyable experience. Mark is a very pleasant person and gave me an interesting lecture in electricity"
"Professional, found electrician explained what I needed to know. Electrician remained cool, calm, collected under stressful situation". "I was very pleased with the work. You turned up on time and most efficient. Would recommend". "I needed three ceiling lights changed for new ones, contacted M.T.R Electrics, price quoted was very good, work was done to a very high standard, friendly and helpful. Very pleased with the job from start to finish". "I was very pleased with the work Mak did for me, He fitted two security lighte for me he He was very prpffesional and very quick. I was so pleased with him that I have asked him back to fix another two lights." "I called for a quote to replace outside lights and ask how soon it could be done. I was quoted over the phone on a Friday by a very helpful person and offered an appointment on the Monday. Mark arrived on time, changed the lights and advised me on correct bulbs to buy. I was very happy with his prompt professional service and will use MTR again and recommend to others." "I have trusted and have been more than happy to call M.T.R when I've needed jobs done in my home. I have called them to do many jobs around my home such as changing light fittings and asked if they could also put a new bath panel in which they did. I would only trust M.T.R to change any works done in my home. When I phone to ask advice they have been so helpful and friendly." "I had a friendly but professional response to my emergency call. The fault was traced and my electrical supply reinstated the same day. What a relief. I happily recommend Mark to anyone requiring an electrician." "Quick response, honest appraisal of the problem, a range of options discussed openly. Job done to a very competent standard. Great communication between the company and the customer. What I liked is that Mark had to cancel our first appointment as he had an emergency on an earlier job. Very slightly inconvenient for me at the time, but very reassuring that if the emergency had been mine he would have stayed to sort it. I have recommended him to my father." "Mark did a superb job, he explained thoroughly the work up front and provided me with a price that didn't change during/after the work had finished. His work was exceptional and he left my home clean and tidy at the end of job! Thank you!" "Mark supplied and fitted a bright light for the study. I will use his services again if I need any more electrical work". "We contacted MTR following a report of an earthing problem in our property which required urgent attention. They were extremely responsive and were able to visit the same day to conduct a check. Mark identified the problem and provided us with the full details to give to the service provider to resolve the problem. He was also available if we needed help to discuss the fault with them. Our problem is now resolved, thanks to Marks guidance and info. He also completed electrical work for us the following day. A really good service, speedy, informative, reliable and supportive. Will recommend to family and friends." "Mark attended to undertake some electrical work in our kitchen. Having had a new dryer we had discovered the sockets were unsafe and our outside lights had also blown. He was a good communicator keeping us posted on his arrival time. He arrived promptly , undertook all the work efficiently and effectively and his bill was squarely in line with the hourly rate that we had quoted on the phone. We will use Mark again". "MTR Electrics sets the standard in electrical services. From booking to job completion, the service was exemplary. All the professionalism of a large multinational, but with the feel and warmth of a local company. I would highly recommend". I will be happy to pass on your business phone number no problem, if anybody asks me too recommend somebody... ". I was having problem with my lighting and Mark carried out a survey and he advised me what work was needed. I would not hesitate to recommend Mark". "I used MTR for the first time recently and was very pleased with the communication and level of service. I will definitely be using them again." "M.T.R. Electrics recently replaced the switch in our bathroom, controlling lights and extractor. This was done very swiftly and with the minimum of fuss. I was impressed by the clarity with which their charging system, procedures etc were explained, their politeness and the carpet protectors which went over Mark's boots which gave a good indication of the care which was taken". "We met Mark while he was leaflet dropping after doing some work for our neighbour. We needed some light switches replacing. He immediately came and quoted us for the work and arranged a date within a couple of days to come back to do the work. He arrived on time and completed the work quickly. We cannot fault the professional way Mark conducts his business. He kept us fully informed via e-mail of the work to be carried out and when it was to be done. We would highly recommend Mark for any electrical work". "I recently used M.T.R. Electrics to install a new light fitting. Mark was very speedy and efficient and I would not hesitate to use his services again. Highly recommended". "Mark came and done our 5 yearly electrical testing. We have quite a large office and warehouse unit, and it comprises of two distribution boards. Although this work that we needed had the potential to cause us disruption during our working day , Mark was both very efficient and carried out a very professional job causing us no disruption at all, He completed the work in just over a day and was very competitive in his pricing for the work. And we will not hesitate to contact Mark again in the future." "We found M.T.R advertising in the Sevenoaks D.C “InShape” magazine, and as we were moving, made a note of the ad. I contacted Mark to sound him out, and once we had completed, he came out and gave us a very accurate quote for the work we needed. On the day, everything was completed to a very high standard, with no mess left behind. I must say we are both very pleased with the work done, and at a fair price too! For all your electrical needs, M.T.R will do the job and do it very well!" "I recently had some electrical work completed on my private house, the work involved placing a cable from the main unit in the house to my garage to supply power for lighting and a power point. In addition lights were changed on my ground floor. Mark the electrician was very polite and efficient, he gave me a quick survey and quotation and undertook the work in a timely and competent fashion. All works were certified a short time afterwards. He worked with minimum disruption and cleared up afterwards. I wouldn't hesitate in recommending him to my family and friends." "We used MTR Electrics to carry out an Electrical Installation Condition Report, which we needed done quite quickly as, sadly, we were in the process of selling our house which dates back probably five or six hundred years. This was the first time we had used this firm, and we found them extremely good at matching their services to our requirements. We needed the inspection done quickly. They agreed an early date with us, and arrived punctually, and with all the right equipment. The job was systematically tackled - not the easiest task in our very old house, and the work was thorough, with minimum mess which was cleaned up quickly and taken away." "The report was very thorough, yet promptly delivered to us. Email and telephone contact with the Electrician who did the work, and the firm's office staff, worked well for us. The employees we spoke to were clear, polite, and helpful. Again an early date at a time convenient to us was agreed, and adhered to by the firm." "One further matter concerned honesty. The firm had quoted for remedial work, all of which we accepted was necessary. We had accepted the quote in writing. 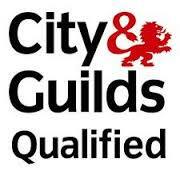 However the amount charged was significantly reduced on the day as, on the more detailed examination, the Electrician found that one item passed the safety test without any need for remedial work. This was something we ourselves could not have spotted, and the original quote seemed very reasonable anyway, so it was a real bonus for us. We shall use MTR Electrics for future electrical requirements at our new house, and we thank them for their high class services." "Just to let all know in the SE London area I have found someone to recommend at last. Had an electrical issue on power supply to pond pump....sorted in 15 mins. Now that ain't bad. This company have access to most services required in the home.... and the owner guarantees their work. Will be using them for another job shortly." "We recently had the electrical circuits for lighting upgraded and are very pleased with the outcome. We also had our hallway and landing re-plastered to hide some old artex plasterwork. This was also done quickly, cleanly and efficiently. We will be recommending this company to our friends and family." "Mark from M T R electrics was very helpful and knowledgeable. He was reliable, efficient, tidy and carried out the work as required at the time agreed. I would recommend M.T.R Electrics as a good service provider." "I have used MTR twice recently, once for a rewiring job in the loft and again for replacing some garden lights. On both occasions they have completed the work to my total satisfaction, arriving promptly and leaving the working areas neat and tidy when they departed. The free estimate provided beforehand and the explanation of work to be carried out gave me confidence in what they were doing and I would have no hesitation in recommending the company to anyone." "Mark from M T R completed our small job at the time stated, the price quoted, with a polite professional attitude. Highly recommended." "I can strongly recommend Mark of MTR Electronics for his level of professionalism and customer care. Small details make a big difference. Firstly, he was prepared to come out for a relatively small job – which expanded when he got to my house and I realised that I had other electrical work that needed to be done that I had forgotten about! He automatically put plastic shoe covers on as he came in to the house, and provided a fair price for the work to be done. He puts quotes in writing, does the job effectively and well and leaves the area he has worked in clean and tidy." "If only other trades could take the same attitude to their work it would really make refurbishing a house a pleasurable experience." "We recently had some work done by Mark having obtained his phone number from the Bexley Community Magazine. He came to us within a few days and gave us an estimate for the work we wanted done. The job was done within a week, arrived on time, he was pleasant and a very tidy worker, and did not even stop for a cup of tea, we were very please with his work." "Happy to recommend MTR Electrics, quick, clean and reasonable priced . Mark is knowledgeable and came earlier than expected on both occasions due which was very convenient for us." "Courteous and efficient - a good job done." "Mark installed four ceiling lights and a ceiling fan for me. Very punctual, and work was carried out quickly and cleanly. Very happy with the completed job." "I am happy to recommend Mark at M.T.R Electrics. It was only a small job but he gave us a quote and carried out the work in a very professional manner and at a reasonable price. I would recommend him for any electrical work and will use him again." "Having been completely let down by a previous electrical subcontractor, we first used Mark and his team for two major jobs; to replace all distribution boards with compliant models and to hard wire in new plant of which is critical to production. The professionalism and flexibility of working out of hours meant that there was no loss of production. Through MTR’s promptness and high quality of work they’ve become a trusted supplier." "Mark came to our home quickly diagnosed the problem. He came back when he said he would with the parts needed, and fitted them at the price he had quoted. We would happily ask him to do more work for us in the future." "Having been let down by other Electrician we saw your advert in SE9. The promptness of your reply to our request for a survey to install a supply to enable a cooker to be fitted was first class. Work was carried out on the appointed day, to our full satisfaction, Will recommend to friends. Thank you." "M.T.R. Electrics extended the wiring and fitted two new wall lights in our siitng room. The work was of a high standard, completed on time and the workplace area left clean and tidy." "M.T.R. representative came at short notice to sort out a couple of problems for me and afterwards, on my recommendation, they did some work at my parents' house too. We are very happy with the work done and would use them again." "I found Mark on Streetlife and called him to come and replace my shower with a new one of the same make. He quoted a reasonable figure which was lower than two other quotes I had obtained. He arrived on time installed the shower within 45 minutes and rewired my door bell for free. He was courteous and tidy and overall I was impressed with his workmanship. I would highly recommend him and will certainly be using him for future electrical problems." "Many thanks for your help this morning, we were very impressed by how efficently and quickly the work was undertaken, with minimum disruption to our business. I am more than happy to recommend your services to anyone in need of an eletrician in the future. ***** 5 star service". "I am very happy to recommend MTR for electrical safety checks and installation. The engineer was very professional, prompt, in fact always early, and carried out the work within the timescale and left the house tidy afterwards, all at a good price. Couldn't ask for more." "MTR undertook the refurbishment of a bathroom and lobby that had been extensively damaged over a considerable period due to leak in the wc outlet pipe setup. The work was professionally handled and completed to a high standard. Noise and dust were kept to a low level which was much appreciated as there was a young baby in the house. I was kept fully informed about the progress of the work which was completed on time and in budget."